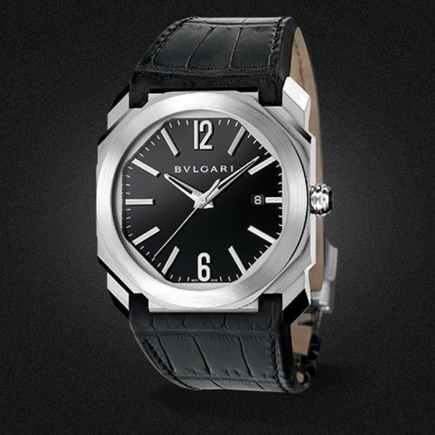 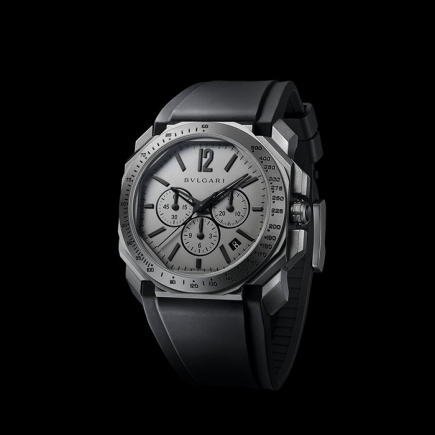 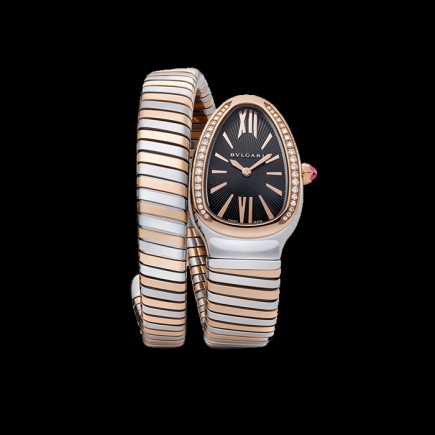 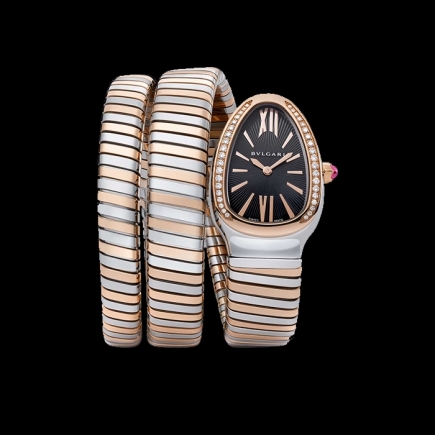 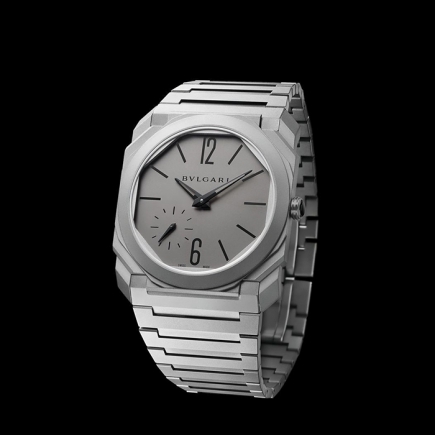 Bulgari | 130'000 € Tax inc. 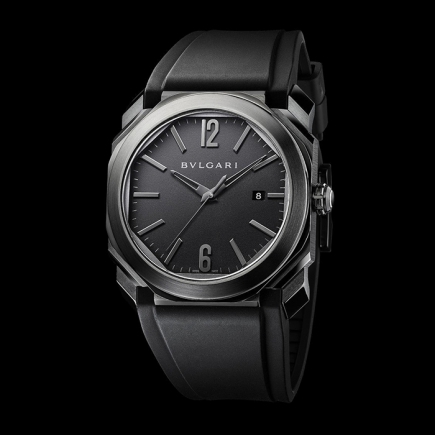 In line with Bvlgari’s Italian genius, the Octo watch breaks with convention, its bold intersection of circle and square forming an octagon, tracing time in perfect geometry. 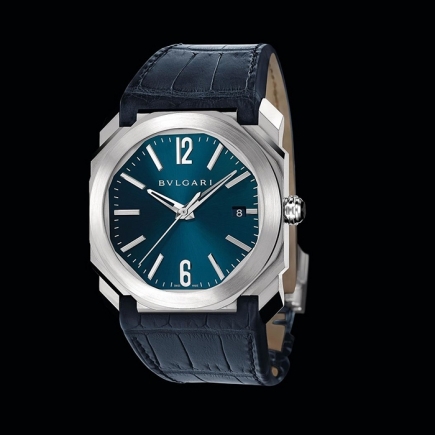 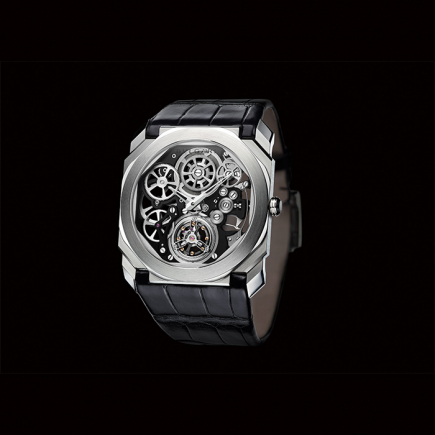 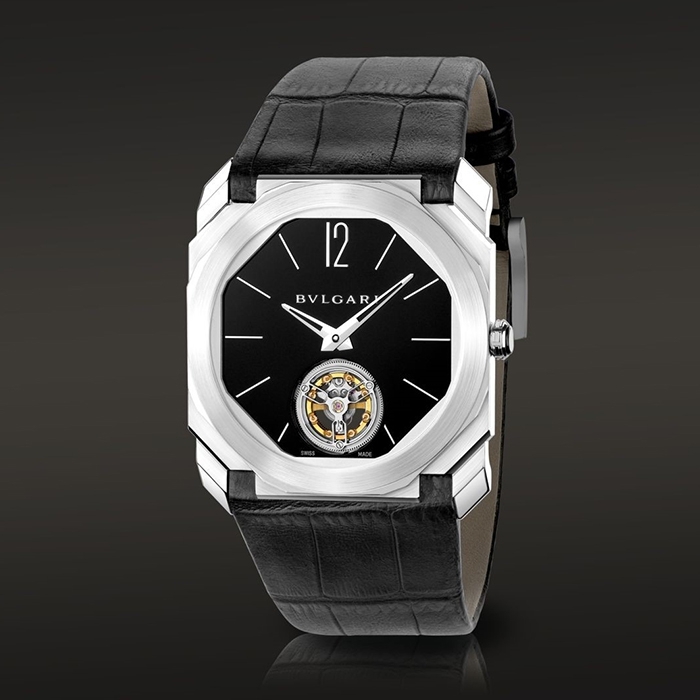 The Octo watch embodies the Bvlgari man, his bold personality and taste for architecture. 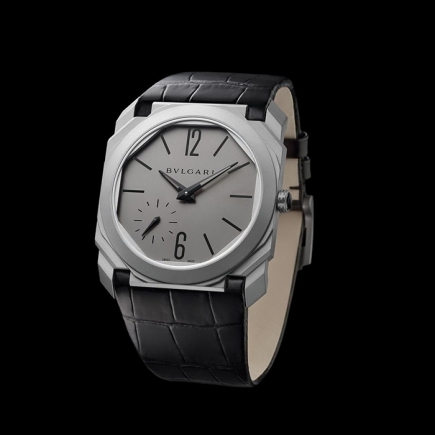 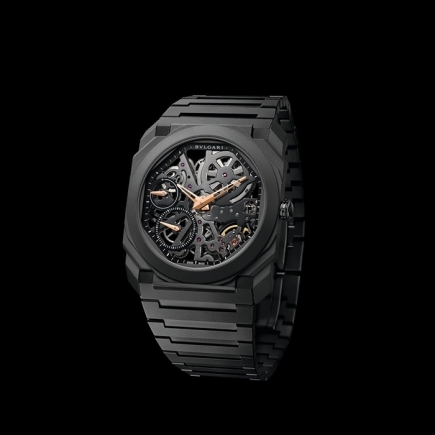 The most exceptional of Octo variations is Octo Finissimo, honored by several awards, among them the Grand Prix d’Horlogerie de Genève and the If Gold Design Award. 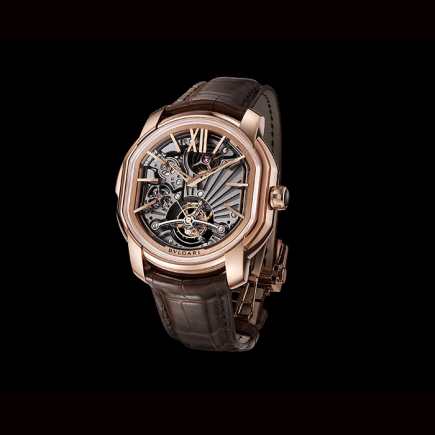 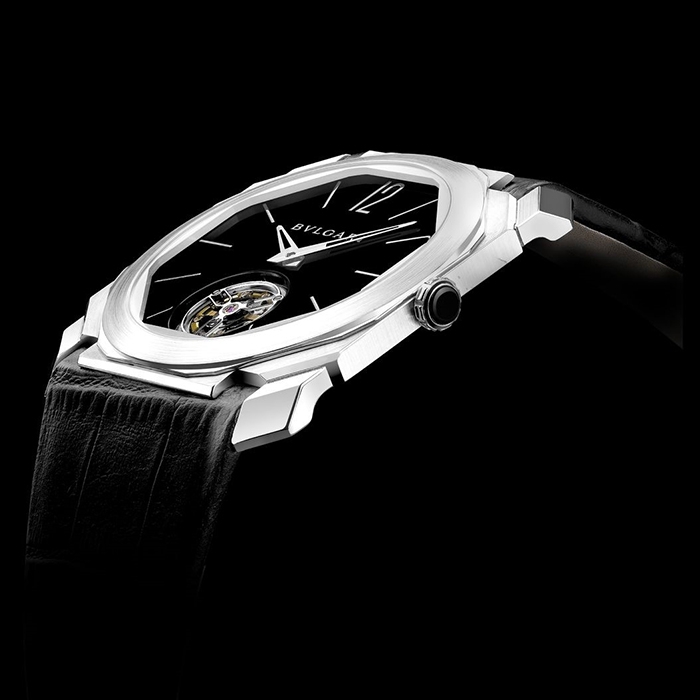 Featuring the thinnest automatic movement in the world (2.33 mm thick), this timepiece combines the excellence of Swiss watchmaking with the elegance of Italian design. 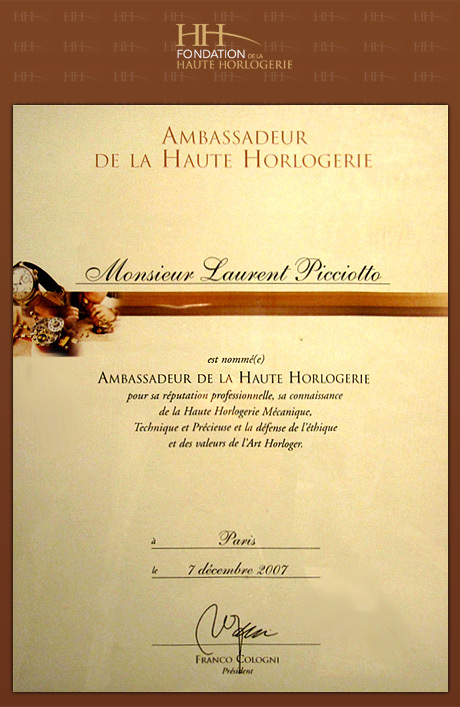 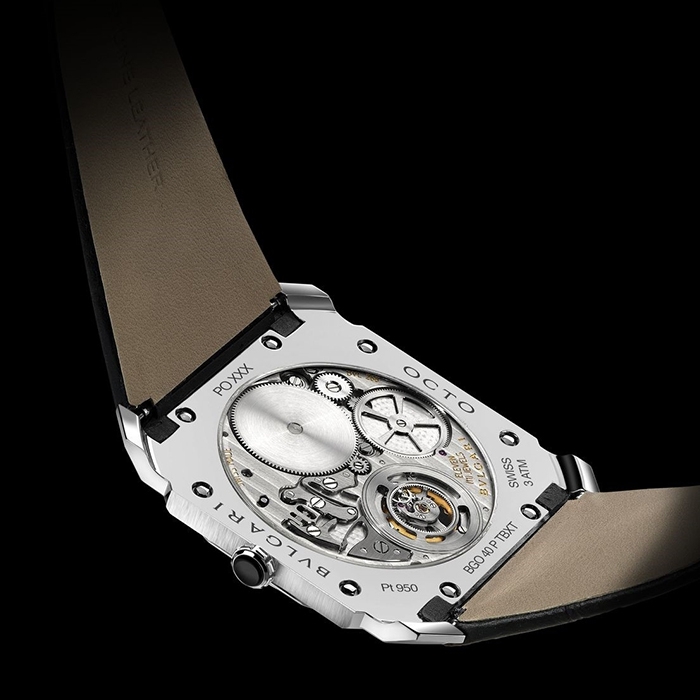 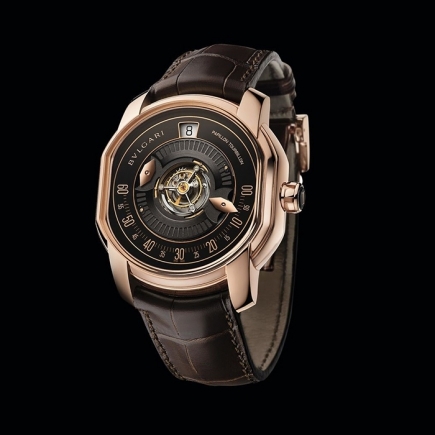 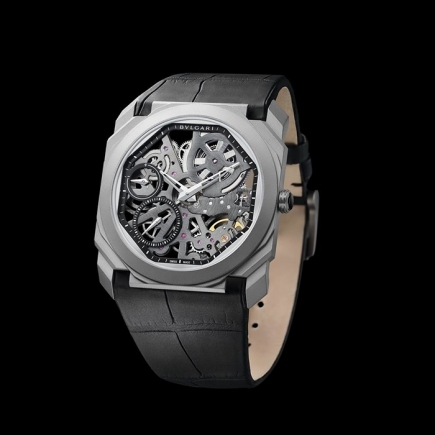 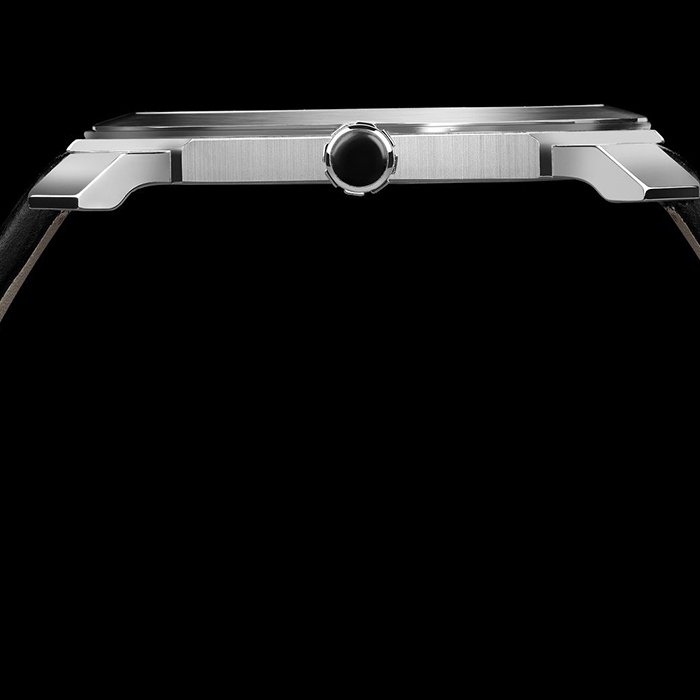 Octo currently holds four world records of thinness in several categories, from automatic to Grandes Complications watches (Tourbillon/Minute Repeater).